For anyone curious about the teachings of Buddha and modern Buddhist practice, Tell Me Something about Buddhism offers the perfect introduction. 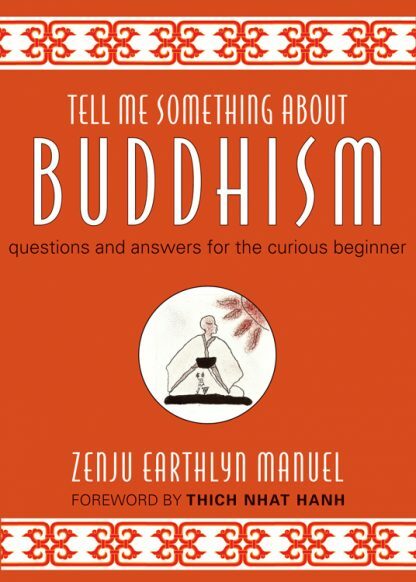 Written by Soto Zen priest Zenju Earthlyn Manuel and organized in an easy-to-use Question and Answer format, this brief book answers the many common questions people have about Buddhism�everything from who Buddha was to why monks, nuns, and priests shave their heads. Manuel, who was been involved in Buddhist practice for over twenty years, after an L.A. upbringing in an African-American Christian church, intertwines throughout the book her personal experiences as one of the first African-American Zen priests. Her life in the Sangha, her teaching in prisons, and her travels around the world meeting other Buddhist practitioners enliven her answers to the most fundamental questions about Buddhist practice. She writes, �Had I not opened myself to the many teachings from the earth, such as Buddha�s wisdom, it would have been nearly impossible to survive the fires of my soul.� Included are about 20 illustrations by the author in her trademark charcoal and pencil style.